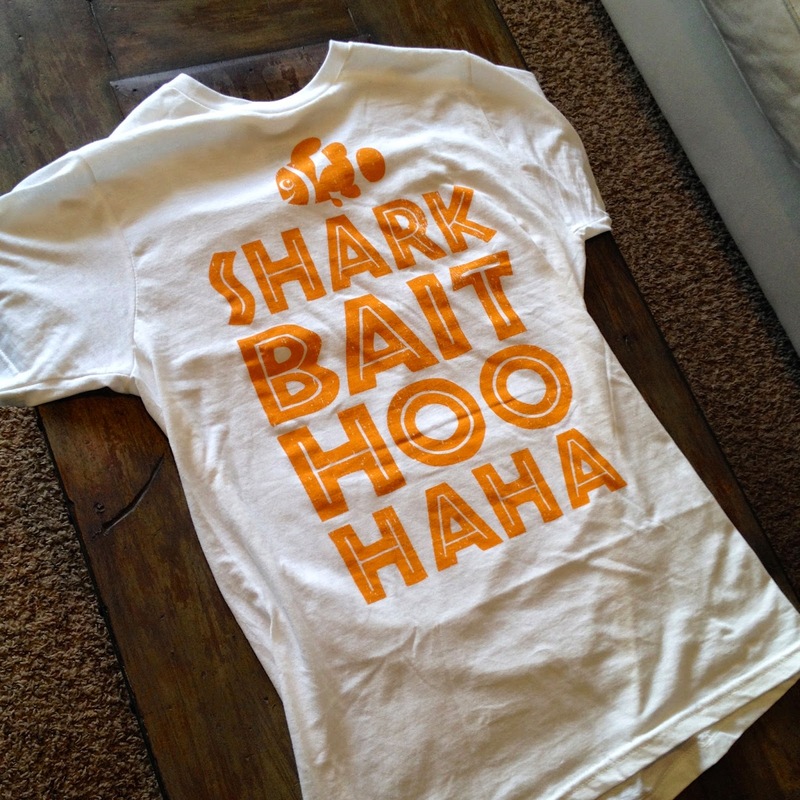 Here's another fantastic new Finding Nemo T-shirt, now available exclusively at Hot Topic! As I mentioned in my Hot Topic WALL-E shirt post, I find it so cool that Pixar themed shirts have been being released there. There are some really cool designs, this being one of them. 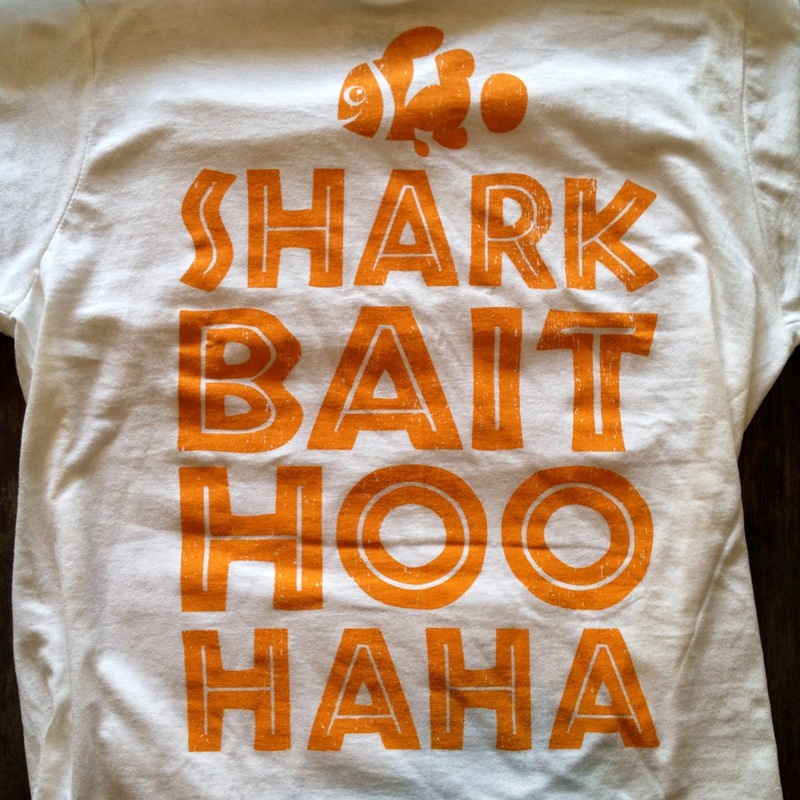 Of course "Shark Bait HOO HAHA" is what the fish tank gang says repeatedly when Nemo is initiated into their "club" by swimming through "the ring of fire." Such a fun idea to put this on a shirt and I love the simplicity of the minimal design. Next year, my wife and I are going on a Disney Cruise and this will be absolutely the most perfect tee to wear during a day of it. It definitely has a tropical vibe. This shirt feels and fits great. It's made of a very soft and comfortable material as well. Also, as mentioned in the WALL-E shirt post, hot topic tees are nice and fitted which I like. 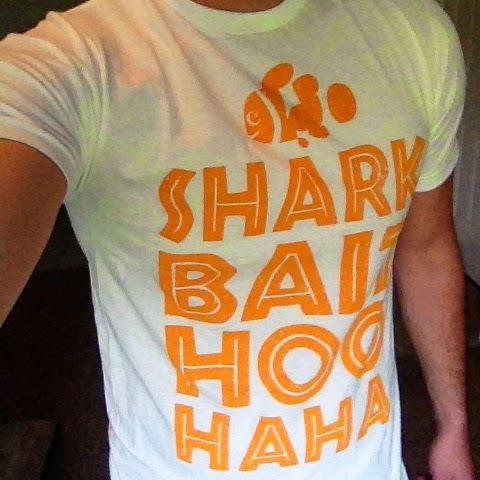 If you're interested in snagging this tee, I'd get it while you can! It's in stock now at HotTopic.com. Hurry though, once these tees sell out (from what I've seen with the previous Hot Topic Pixar tees), they're pretty much gone and impossible to track down any other way. A big thanks to my fantastic wife who got this tee and a few others for our two year wedding anniversary from a few weeks ago! Thanks for stopping by and be sure to check back daily for more from my Pixar collection! Please let me know if you have any questions on this shirt or any other items that you see here on the blog.